The immune system plays a vital role in many diseases. Motivated by the desire for better treatments, there are ongoing significant efforts aimed at controlling the immune system to improve human health. As the immune system is important in curing, preventing, or causing disease, technological or scientific advances in our understanding or control of the immune system have the potential for misuse. Indeed, the Soviet biological weapons program extensively exploited scientific understanding of the immune system in attempts to use immunomodulatory technologies to enhance or even create biological weapons. In spirit and in practice, today’s research and development are different: the intent and use have, thus far, been exclusively to improve human health. Beneath the well-intended spirit and practice is the reality that today’s research efforts are inalienably linked to the weapons of the past and potentially to those of the future. What benefit or harm can be derived from understanding and control of the immune system is in the eye of the beholder. This chapter explores the research and technologies currently underway, their actual or potential abuses, the broader scope of risks, and approaches to mitigate these risks. This work was funded in part through the NIAID Division of Intramural Research. The content of this publication does not necessarily reflect the views or policies of the US Department of Health and Human Services (DHHS) or of the institutions and companies affiliated with the authors. Mention of trade names, commercial products, or organizations do not imply endorsement by the U.S. Government. National Cancer Institute. What is cancer? 2015. https://www.cancer.gov/about-cancer/understanding/what-is-cancer. Accessed 20 Sept 2017. World Health Organization. The top 10 causes of death. 2017. http://www.who.int/mediacentre/factsheets/fs310/en/. Accessed 20 Sept 2017. National Cancer Institute. Chemotherapy. 2015. https://www.cancer.gov/about-cancer/treatment/types/chemotherapy#1. Accessed 20 Sept 2017. MacKenzie D. US develops lethal new viruses. 2003. https://www.newscientist.com/article/dn4318-us-develops-lethal-new-viruses/. Accessed 20 Sept 2017. Hanham M. Kim Jong Un tours pesticide facility capable of producing biological weapons: a 38 North special report. 2015. http://www.38north.org/2015/07/mhanham070915/. Accessed 7 Feb 2018. Federation of American Scientists. US department of defense news briefing. 2001. https://fas.org/sgp/news/2001/09/dod090401.html. Accessed 25 Sept 2017. Centers for Disease Control and Prevention, United States Department of Agriculture. Federal select agent program. 2017. https://www.selectagents.gov/. Accessed 3 Oct 2017. UNODA. 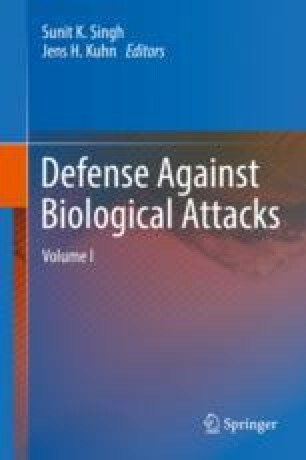 Biological weapons. 2018. https://www.un.org/disarmament/wmd/bio/. Accessed 18 May 2018.